Insect follows Noctuidae family, and Lepidoptera order. 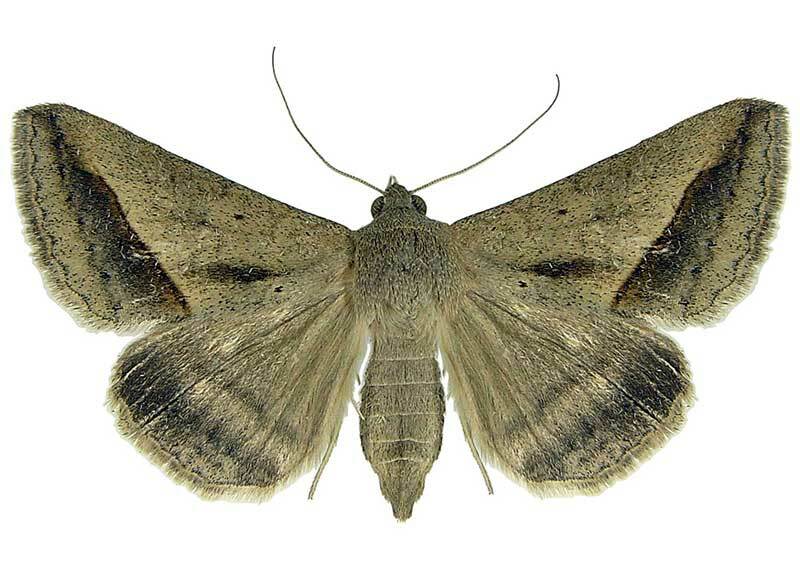 It is grey-brown; wing is 36-50 mm long. Larvas feed on gramineous plant leaves in fields and farms.